So you're recently engaged and looking for some invitations to set the tone for your big day? Maybe the nuptials are approaching fast and you need some help with the table stationery and decor. 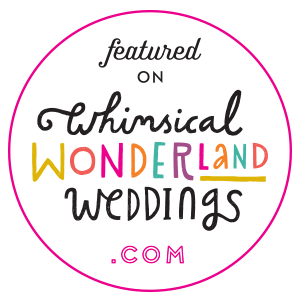 Browse the shop and take a look at existing designs, or fill in the contact form so that we can discuss your wedding or event requirements. I'm always keen to discuss bespoke projects; I really love working with your ideas and turning them into a reality. Besides weddings and events, I've worked with lots of individuals to create special gifts and signage for a variety of occasions. I've created signage and invitations for birthday parties, baby showers and christenings, as well as custom prints, cards and gifts for new babies, newlyweds, and anniversaries. Instagram is a great place to look at recent projects. Use the contact form to get in touch. I've worked with several businesses of varying sizes in the retail fashion and beauty industries, creating branding, commercial signage, marketing materials and merchandise. Use the contact form if you'd like to get in touch to discuss your business' requirements.